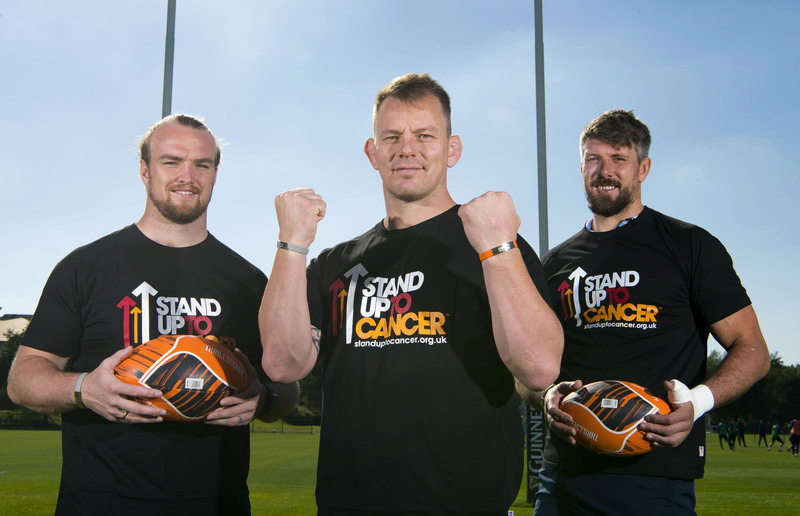 Rugby star and testicular cancer survivor Matthew Rees is backing this year’s Stand Up To Cancer campaign alongside his Cardiff Blues teammates to help speed up life-saving research. Stand Up To Cancer, a joint fundraising campaign from Channel 4 and Cancer Research UK, unites celebrities, scientists and communities from across the UK. Every hour, around two people are diagnosed with cancer in Wales*. Matthew, who was diagnosed with the disease when he was just 32, said: “Cancer is a word that scares everybody and it’s a word that certainly scares me. Matthew’s cancer spread to his lymph nodes which meant he needed surgery and three rounds of chemotherapy. Matthew’s Cardiff Blues teammates have always been hugely supportive. In 2013, the team shaved their heads in honour of the dad-of-one when he was going through treatment. “I have now passed the five-year mark and have come to the end of my six monthly check-ups. It feels like it’s not hanging over my head like it used to,” said Matthew. 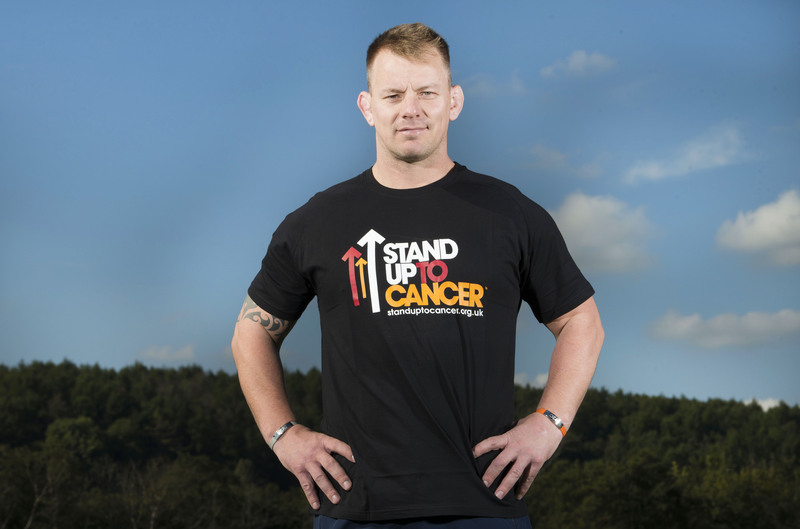 Stand Up To Cancer is supported by a host of stars including Davina McCall, Edith Bowman, Alan Carr, Joel Dommett and Kirsty Allsopp. 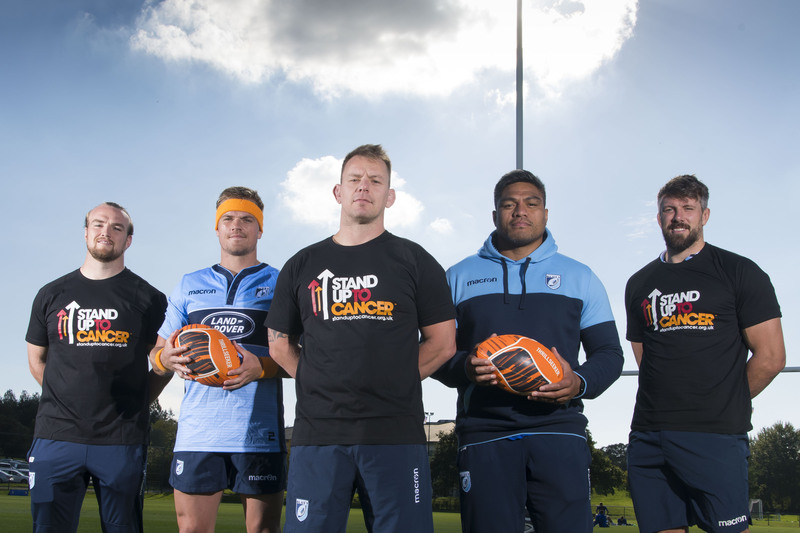 Ruth Amies, Cancer Research UK’s spokesperson for Wales, said: “We’d like to say a massive thank you to Matthew and the Cardiff Blues for their support. We hope they will inspire men, women and children from across Wales to get sponsored to wear orange or find their own fun way to help raise vital funds. Cancer Research UK is urging people to get started right now and sign up for their free fundraising pack. As well as getting sponsored to wear orange for the day, it includes a host of creative ideas to help beat cancer sooner. People across Wales can also show their support for the campaign in style as a fun range of clothing and accessories for men, women and children is available now, online, and in Cancer Research UK shops from late September. *Based on the average annual number of new cases of cancer (ICD10 C00-C97 excluding non-melanoma skin cancer) diagnosed in Wales between 2013-2015.